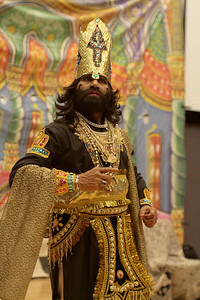 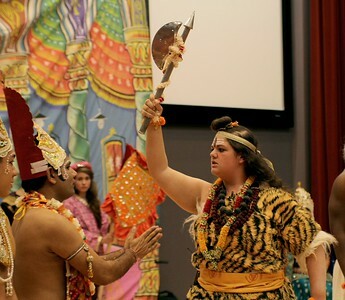 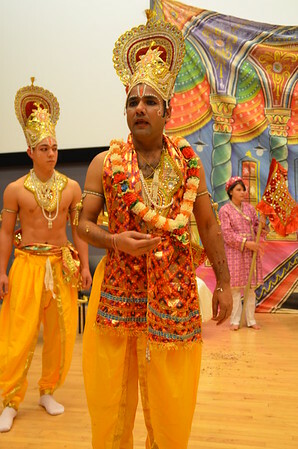 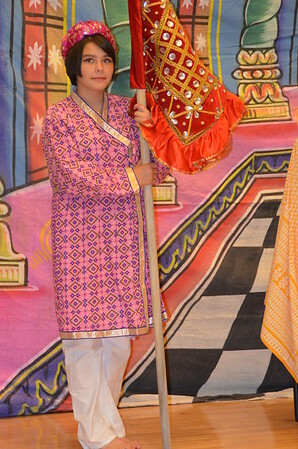 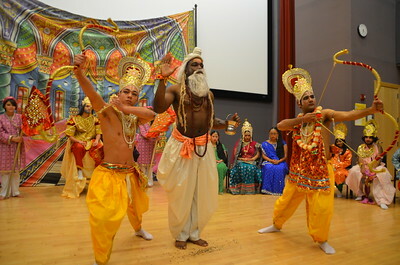 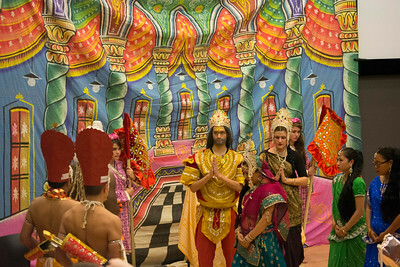 “Ramlila: The Story of Ram in Indian Devotional Theater,” on display from Aug. 18 to Dec. 13, 2015, incorporated original costumes, props and multimedia to help share a style of Indian theater called Ramlila with the University of North Carolina at Chapel Hill campus and community. 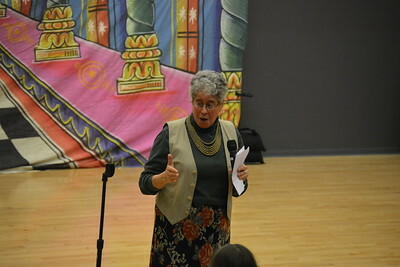 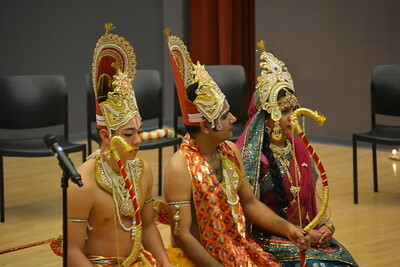 The exhibition was on display at the FedEx Global Education Center with a keynote lecture and performances on Oct. 21. 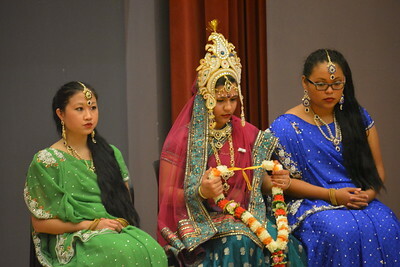 The opening began with an arati ceremony, a traditional ritual of worship, performed by a group from the Jeeyar Educational Trust in Cary. 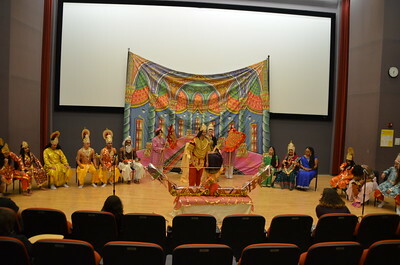 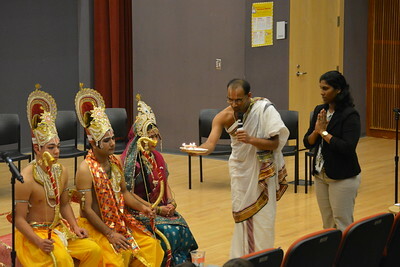 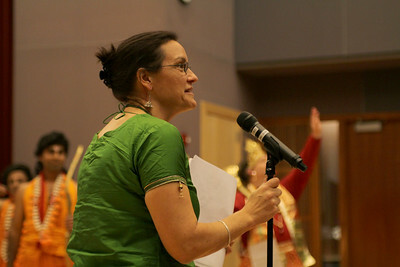 Undergraduate students enrolled in ASIA 382, “The Story of Rama in Indian Culture,” taught by Pamela Lothspeich, associate professor in the Department of Asian Studies at UNC, then performed one scene from Ramlila. 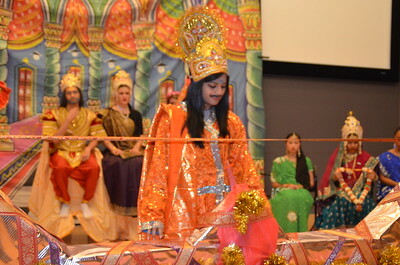 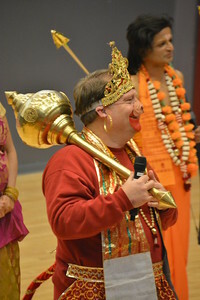 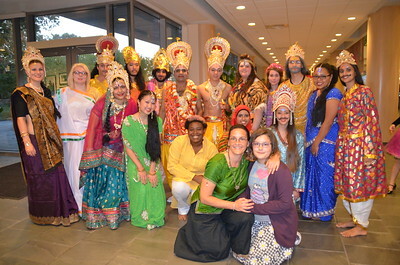 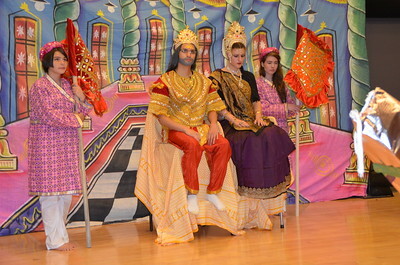 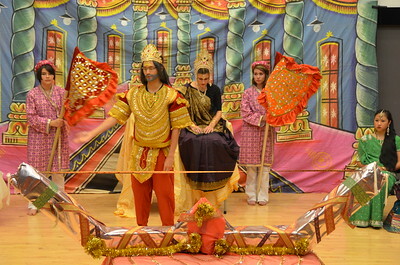 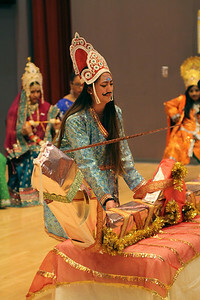 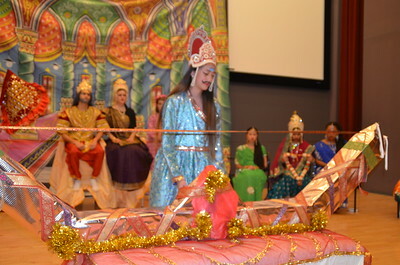 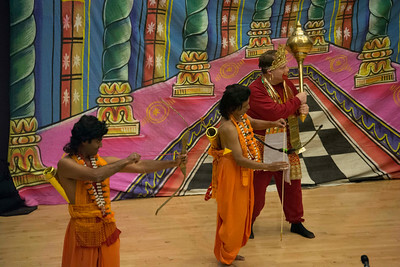 A second was performed by an amateur troupe organized by the Hindi Vikas Mandal (Association for the Development of Hindi) of North Carolina, in affiliation with the Hindu Society of North Carolina in Morrisville. 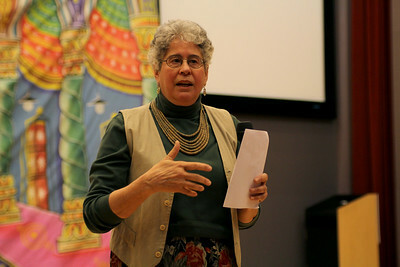 The evening concluded with a lecture by Paula Richman, William H. Danforth Professor of South Asian Religions at Oberlin College in Ohio. 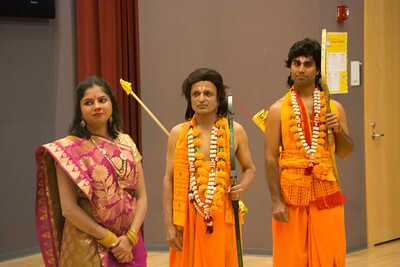 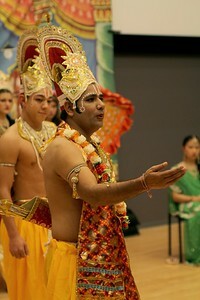 Afroz Taj, associate professor in the UNC Department of Asian Studies, appeared as the demon king Rava (left). 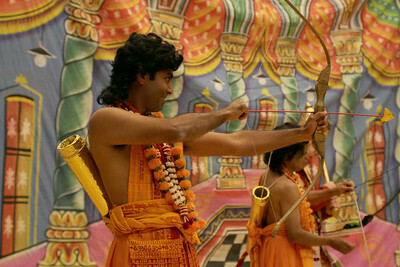 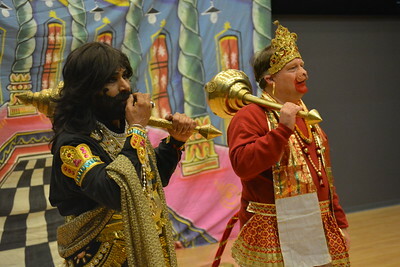 John Caldwell, a lecturer in Hindi-Urdu, played Hanuman (right).